Laura Bassett is one of the foremost English Soccerers of her generation. She has played an amazing 57 times for her national side at world level and has also picked up a bronze medal for her efforts in the 2015 Soccer World Cup. A key member of England’s Lionesses, Laura is brillaint at delivering speeches, talks and meetings for any audience and always interests and inspires anyone who listens. Now in her 30s, Laura has taken part in two World Cups and also two European Championships and in one of those in 2009 she picked up a Silver Medal. In 2017 another tournament arrives and Laura is hoping that she will be part of the team for the games in the Netherlands. Domestically, Laura has played for top sides like Chelsea, Arsenal, Leeds, Birmingham and Notts County, where she is currently the captain of the ladies side. In her time she has won the FA Cup, has been second in the WSL and Continental Cup and has also won the Premier League with Arsenal. 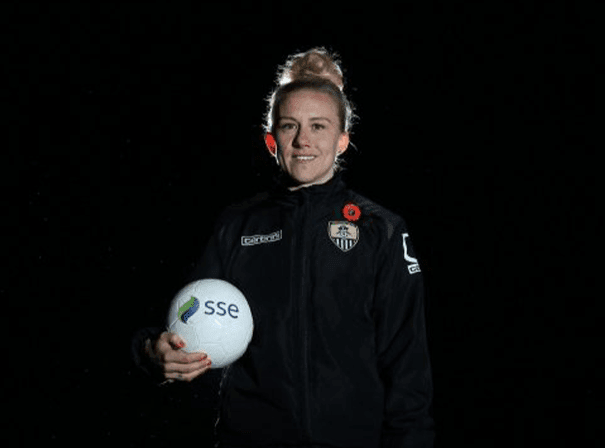 Laura has played for England at all levels and made her senior debut in 2003 and then became one of the first female players to be awarded a professional contract in 2009, and has since being centrally contracted by the FA. She is also a UEFA Level 3 Licence Coach. An accomplished and professional speaker who has lots of experiences to share and tales to tell, she has overcome plenty of adversity to get where she is so really inspires audiences.